Connect with our industry experts who provide custom, innovative solutions and services to minimize the overall cyber risk to your organization. Most healthcare organizations tend to under-invest in cyber security until they become victims of a cyber crime, then they over-invest, negatively affecting their bottom line and their ability to accomplish their mission without necessarily securing themselves adequately from the next attack. 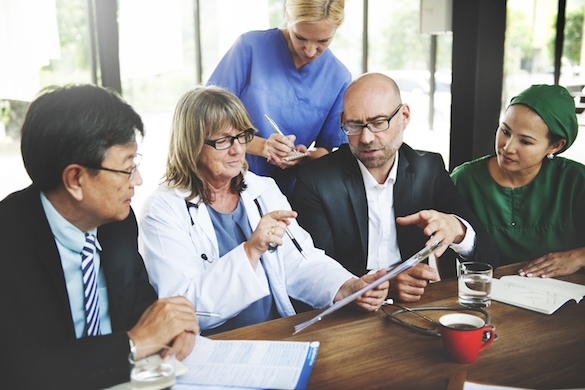 A rushed response leads to improper risk management and patchwork attempts to shove existing systems and processes into a "one-size- fits-all" framework. We specialize in identifying the right level of investment for your organization based around your existing team, capabilities, systems, and processes. Our goal is to design a smart solution for you and you alone, not cram your business into a cyber security model designed for someone else.